Josiah was eight years old when he began to reign; he reigned thirty-one years in Jerusalem. His mother's name was Jedidah daughter of Adaiah of Bozkath. 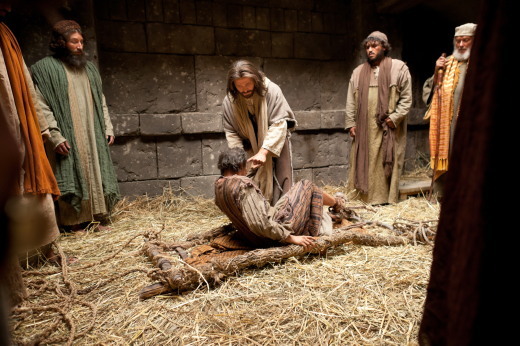 He did what was right in the sight of the LORD, and walked in all the way of his father David; he did not turn aside to the right or to the left. In the eighteenth year of King Josiah, the king sent Shaphan son of Azaliah, son of Meshullam, the secretary, to the house of the LORD, saying, "Go up to the high priest Hilkiah, and have him count the entire sum of the money that has been brought into the house of the LORD, which the keepers of the threshold have collected from the people; let it be given into the hand of the workers who have the oversight of the house of the LORD; let them give it to the workers who are at the house of the LORD, repairing the house, that is, to the carpenters, to the builders, to the masons; and let them use it to buy timber and quarried stone to repair the house. But no accounting shall be asked from them for the money that is delivered into their hand, for they deal honestly." 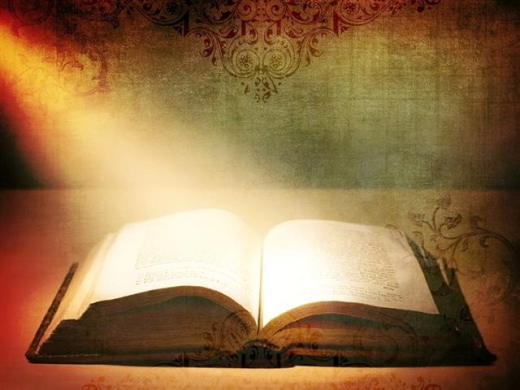 The high priest Hilkiah said to Shaphan the secretary, "I have found the book of the law in the house of the LORD." When Hilkiah gave the book to Shaphan, he read it. Then Shaphan the secretary came to the king, and reported to the king, "Your servants have emptied out the money that was found in the house, and have delivered it into the hand of the workers who have oversight of the house of the LORD." Shaphan the secretary informed the king, "The priest Hilkiah has given me a book." Shaphan then read it aloud to the king. When the king heard the words of the book of the law, he tore his clothes. Then the king commanded the priest Hilkiah, Ahikam son of Shaphan, Achbor son of Micaiah, Shaphan the secretary, and the king's servant Asaiah, saying, "Go, inquire of the LORD for me, for the people, and for all Judah, concerning the words of this book that has been found; for great is the wrath of the LORD that is kindled against us, because our ancestors did not obey the words of this book, to do according to all that is written concerning us." I commend you because you remember me in everything and maintain the traditions just as I handed them on to you. But I want you to understand that Christ is the head of every man, and the husband is the head of his wife, and God is the head of Christ. Any man who prays or prophesies with something on his head disgraces his head, but any woman who prays or prophesies with her head unveiled disgraces her head-- it is one and the same thing as having her head shaved. For if a woman will not veil herself, then she should cut off her hair; but if it is disgraceful for a woman to have her hair cut off or to be shaved, she should wear a veil. For a man ought not to have his head veiled, since he is the image and reflection of God; but woman is the reflection of man. Indeed, man was not made from woman, but woman from man. Neither was man created for the sake of woman, but woman for the sake of man. For this reason a woman ought to have a symbol of authority on her head, because of the angels. Nevertheless, in the Lord woman is not independent of man or man independent of woman. For just as woman came from man, so man comes through woman; but all things come from God. Judge for yourselves: is it proper for a woman to pray to God with her head unveiled? Does not nature itself teach you that if a man wears long hair, it is degrading to him, but if a woman has long hair, it is her glory? For her hair is given to her for a covering. But if anyone is disposed to be contentious-- we have no such custom, nor do the churches of God. Now in the following instructions I do not commend you, because when you come together it is not for the better but for the worse. For, to begin with, when you come together as a church, I hear that there are divisions among you; and to some extent I believe it. Indeed, there have to be factions among you, for only so will it become clear who among you are genuine. When you come together, it is not really to eat the Lord's supper. For when the time comes to eat, each of you goes ahead with your own supper, and one goes hungry and another becomes drunk. What! Do you not have homes to eat and drink in? Or do you show contempt for the church of God and humiliate those who have nothing? What should I say to you? Should I commend you? In this matter I do not commend you! "Around midnight Paul and Silas were praying and singing hymns to God, and the other prisoners were listening." I was watching a television commercial the other day for a hearing device that’s designed to look like a Bluetooth earpiece. In reality, it isn’t a phone device at all. It simply amplifies the sound around the person who’s wearing it. Maybe there are some people who wear the device so they can listen in on other people’s conversations without being too obvious about it. The Bible tells us that as Paul and Silas sang their midnight praises to God in the dungeon at Philippi, the other prisoners were listening. The word listening could be translated “listening for pleasure.” There is something about your favorite song that draws you in. I always notice music, and when I hear a song I love, I will tune in. I’m listening for pleasure. There in the dungeon, everyone was listening in because they had never heard anything like it. I wonder if Paul and Silas were singing some cool harmonies. Maybe not, but I think just the idea of their singing the praises of God in such a dark, oppressive, horrible place caught the attention of the other prisoners. You can be a great worshipper and not sing well at all. It is all about the attitude of your heart and a willingness to glorify and honor God, regardless of your circumstances. We have a lost world out there, and they are watching us as Christians. They are watching us when things go well for us, and they are watching us when things are not going so well. 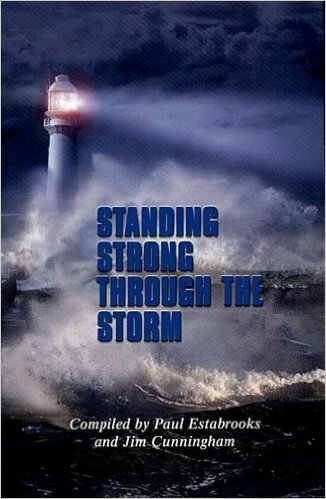 When they see us giving praise to God under such circumstances it is a powerful testimony. It opens a door of ministry. And suddenly there is an audience who will listen to what we have to say when they wouldn’t have listened to us otherwise. 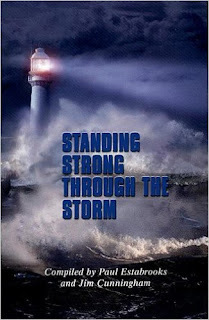 When we glorify God despite our circumstances, the world takes notice. Others shared that they want to minister to other women when they go back home. Some churches used to have women’s ministry but for some reasons it had stopped. After this training the women wanted to revitalise the women’s ministry in their churches. 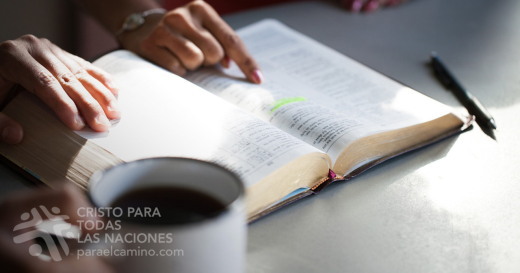 “The women we have met in that training seem to have Esther’s character: ‘If I perish, I perish.’ They stand up despite the clear warnings of their husbands, neighbours or the authorities. They know the cost. One knew very well that her husband might lose his government job if a family member would be found witnessing for Jesus. She was warned by her husband to tone down her evangelistic zeal. But she could not keep herself from speaking of Jesus. Two others have marriages about to fail if it were not for their enduring stand as wives to keep the family intact. These participants are capable to lead other women even after just the first training. As the women penetrate the walls of shame and break the silence, God fulfils His promise of Isaiah 61:7. Instead of shame and dishonour you shall have a double portion of prosperity and everlasting joy! I’ve heard it said, “If you don't know your purpose, you will be distracted by the voices.” The same principle applies to the purpose of our words. The Bible has a lot to say about the ways we should use our words. The prophet Isaiah recognized the importance of his words. “The Sovereign Lord has given me a well-instructed tongue, to know the word that sustains the weary.”(Isaiah 50:4) I read this and begin to ask God for a well-instructed tongue. Oh, how I wish I had this perfected. But I don't. My words still put me to shame sometimes. It is only by the grace of God that I can speak in ways that honor God. Because, like Isaiah, He helps me. 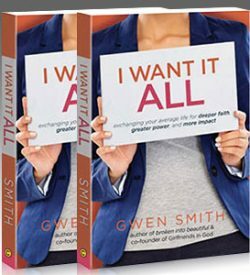 SPECIAL OFFER: If this message is where you are and you need more practical help choosing your words wisely, Gwen is offering a 20% OFF discount on her latest book, I Want It ALL (that has a Bible Study guide right in the back!). Get thebook discounted from her site when you use the coupon code: 20OFF. Click here to get yours now. I'm Ron Hutchcraft and I want to have A Word With You today about "Simplifying Your Journey." Our word for today from the Word of God comes from John 10:3-4. "The sheep listen to (the shepherd's) voice. He calls His own sheep by name and He leads them out. When He has brought out all His own, He goes ahead of them". That one verse, "He puts His sheep out, He goes ahead of them" has been an anchor for Karen and me over and over as we have moved into unfamiliar or difficult territory in our life. Jesus, the Good Shepherd, is leading us this direction; He's traveling this road ahead of us, and He knows where He's going. And what do smart sheep do? They try to figure out where they're going to find some good pasture, or they try to figure out which road is safe and which one is dangerous, or move in the direction that looks best to them? No, smart sheep don't do that. No, they do what my wife did traveling in that unfamiliar territory out West. They quit trying to figure it out for themselves and they follow the One who knows every mile in the road! John 10:27, "My sheep listen to My voice; I know them, and they follow Me." Maybe you've been trying to fix things yourself, control things, manipulate things. What a great way to get lost and confused-and to miss your destination. Jesus' most fundamental command is simply, "Follow Me." Are you? That's more than going to His meetings or believing His beliefs, or doing His work, or keeping His rules. We're talking about how you determine which way you're going to go in the decisions that really matter in your life. His answer might be to show you verses that focus on one specific part of you and your life. Whatever that verse lights up, you make that your conscious assignment for that day to do that part of you Jesus' way. You apply that verse to something you will face today. "Lord, what can I apply this to? What am I doing to do differently today because of what you've said?" Through the accumulation of those daily obediences, God will lead you on the path to His larger will. Because His macro will is the sum of a lot of micro wills that you do each day. The right you will make the right choices. The Spirit of God uses the applied Word of God to lead the child of God to the will of God. So your job is much the same as my wife's was on her journey into new territory-find out where your Leader is going and just get behind Him and go there. Speed up when He speeds up. Stop when He stops. Turn when He turns. You wouldn't believe the freedom and relief it is to realize you don't have to figure this all out any more. Following Jesus sure simplifies your journey. Oh, and by the way, guarantees you'll reach your destination. 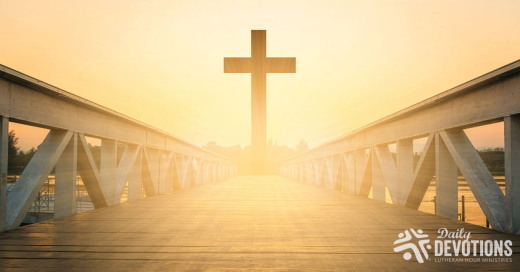 LHM Daily Devotion - October 10, 2017 "The Way, the Bridge"
The old Kosciuszko Bridge is no more. Seventy-eight years ago, New York officials proudly opened the Kosciuszko Bridge, which connected Brooklyn and Queens. When they did so, they heralded the opening of a new era of travel when quick-and-easy passage would take place between those two great boroughs. • Second, the engineers who did the designing had greatly underestimated the amount of traffic which would want to make use of their span. Indeed, the bridge was designed to handle only 25 percent of the traffic that currently passes over it, and it now has become a great bottleneck for commuters, visitors, and commerce. After many years of frustration, the decision was finally made to bring down the bridge. Two weeks ago, in a matter of seconds, hundreds of explosive charges reduced the 22-million pounds of steel to a great pile of scrap metal. It should be noted there was no such engineering difficulty 2,000 years ago when the Savior built a new bridge between sinful humankind and the Triune God. The Savior's bridge was capable of handling the souls of every man, woman, and child who ever lived. On this bridge there would be no bottlenecks; there would be no traffic jams; there would be no complications. No toll or payment was demanded from those who wished to make use of the bridge. From the day the bridge's plan was first revealed to Adam and Eve in the Garden of Eden -- until it was completed on Resurrection Sunday -- the bridge was designed to be free. Understand, there had been a cost, but that charge was paid for by God's Son, the world's Savior. The foundation had been laid when He had fulfilled the laws we had broken; the span was set by His resistance to temptation; and the roadbed had been completed when He had conquered death the day He rose. Because of Jesus' finished work, all who believe in Him as Savior have their sins forgiven and are granted passage from Earth to heaven. Now if I make this bridge sound like a good thing, it is. But you should know there are problems. First, the bridge is capable of handling far more souls than are currently using it. Second, the bridge will not be there forever. The time is coming when it will, like the Kosciuszko span, be taken down. Which explains why it is our job to encourage as many people to use God's bridge as possible, that is, to believe in Jesus as Savior, while there is still time. THE PRAYER: Dear Lord, there is only one Way to get from where we are to where You are. While there is still time, grant that those who are lost may see Jesus is the bridge, the only Way to heaven. 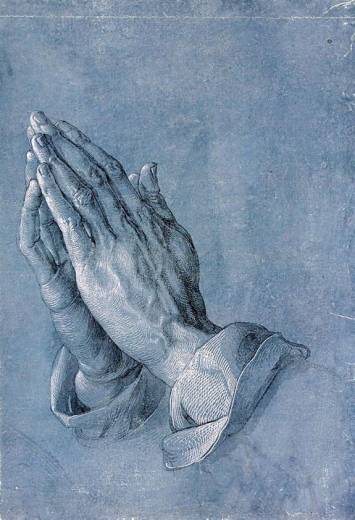 This we ask in His Name. Amen. Se publicó una historia acerca de un pájaro que murió al estrellarse contra una puerta de vidrio de un conocido santuario para aves en Inglaterra. Recuerde que el Señor le ama y que, a través de su Hijo Jesucristo, Él ha prometido estar con usted. Por más que usted no lo vea, Él está a su lado cuidándolo y dirigiéndolo... porque quiere mantenerlo seguro.